5.1 The Transpersonal Self in relation to the Universal Self and personal self. “I propose that the founding father of Psychosynthesis, Roberto Assagioli (1888-1974) has written his psychology into a philosophical tradition known as Evolutionary Panentheism. This compilation of quotes from Assagioli’s work is meant to supplement the information in my book The Soul of Psychosynthesis. Here I propose that the founding father of Psychosynthesis, Roberto Assagioli (1888-1974) has written his psychology into a philosophical tradition known as Evolutionary Panentheism. According to Assagioli Psychosynthesis is not trying to give a ”metaphysical nor a theological explanation of the great Mystery” (1975, p. 6). This statement is often cited within the Psychosynthesis milieu. Although Assagioli undoubtedly remained open to different metaphysical approaches, we find metaphysical opinions and statements in his work that seem to point in a certain direction. I will in here try to show how evolutionary Panentheism constitutes Assagioli’s overall metaphysical philosophy. My intention is not to make a case for Panentheism per se, but to explore if Assagioli was inspired by this philosophy. Panentheism is a term Ken Wilber and the co-founder of Esalen Institute, Michael Murphy, also use to describe their philosophy. In his article on Panentheism Murphy shows how some of the great geniuses in history have reached the same conclusion (Murphy, 2012). Murphy mentions Johann G. Fichte (1762- 1814), Friedrich Schelling (1775-1854), G.W.F. Hegel (1770- 1831), Henri Bergson (1859-1941), Teilhard de Chardin (1881-1955), Paul Tillich (1886-1965), Alfred North Whitehead (1861-1947), Sri Aurobindo (1872-1950). It is important to distinguish Panentheism from “Pantheism”. According to Pantheism there is no difference between God and nature, whereas pan-en-theism adds the One (God, Brahman, Spirit) who permeates and transcends the universe. The One is both transcendent and immanent in creation. The One is in everything, but is greater than the created universe. It is through evolution and thus humanity that God’s inherent potentials are made manifest. According to this theory the human soul and all other beings emanate from God or “Pleroma,” or psychologically from the Self. The word “emanation” comes from “emanare”, which means “flow from” God’s abundance or density. All creatures thus emanates from the same divine source down through various (inner) levels of consciousness to the physical world, where humanity forget its divine source or origins. It is the unconscious/subconscious yearning to return to source, which, according to this theory, is the driving force of evolution. Hence the purpose of human existence is to awaken to our divine potential that we are here to manifest. That the One is immanent in nature and man does not imply that perfection, perfected love, is a reality. The One is present as life and as divine potential that is hidden and we are here to unfold it. In the following I will present a number of quotes from Assagioli and relate these to Panentheism. A reality that transcends creation – the universe. A transcendent reality that maintains and develops the universe through evolution. The divine (life), will through its embodiment in the mineral, plant, animal and human kingdom return to its source enriched with consciousness from its experiences within the many worlds. The Transpersonal Self or the soul is an integral aspect of this involution and evolutionary journey, whose purpose is to manifest the divine (life) on earth. 1a) “But then coming back to Transcendence of human Spirit – I will quote three expressions coming from different sources, one of which belongs to the Modern World. The first one, and the deeper in its meaning, is to be found in the BHAGAVAD GITA, the “song of God”, the religious theme of India, in which all the conceptions below are exposed and synthesized, being symbolized in KRISHNA, the supreme Spirit incarnation, when he speaks to his disciple Arjuna and says: “Having permeated all this Universe with a part of myself, I remain” This is a fantastic formula for co-existence, for union and communion of Immanence and Transcendence.” Source: A Brief Adress on the Self, Assagioli Archive Florence. Here Assagioli argues that the source of everything is a transcendent reality that can only be defined by what it is not. This transcendent reality creates the manifest universe with a “fragment of itself and remains”. From a Panentheistic point of view this means that the transcendent reality is greater than the created universe and, as a matter of fact it has only penetrated the universe with a fragment of itself. This relates to point a. above. In the next quote Assagioli describes what he means by Spirit and here he argues that Spirit is immanent in creation and that it awakens certain qualities in us and motivates us to seek union with the “Supreme Reality”. 2) ”In our attempt to accurately define the meaning of the word ‘spirit’, we need to make a clear distinction between what is in essence its ultimate reality, and what are its various manifestations, i.e. the characteristics by which it is revealed to us, the ways in which we perceive it and recognize it in ourselves, in others, in nature and in history. In itself the Spirit is a Supreme Reality when looked at in transcendent terms. In other words it is absolute, free from any limitations and concrete definition. The Spirit transcends every restriction of time and space, every material limitation. This Spirit is essentially eternal, infinite, free and universal. This supreme, absolute Reality cannot be perceived with the intellect because it transcends the human mind; it can however, be postulated in rational terms, cultivated intuitively, and experienced mystically to a degree. In light of the above let us now consider those manifestations of the Spirit that are more accessible to us and concern us more directly. The Spirit is that element of transcendence, superiority, permanence, power, liberty, inner reality, creativity, harmony and synthesis in every manifestation, both individual and social. In people, therefore, the term ‘spiritual’ (to varying degrees) can be attributed to everything that compels them to transcend their selfish exclusiveness, fears, inertia, and love of pleasure; everything that urges them to discipline, control and direct those untamed forces, instincts, and emotions that seethe within; everything that indices the recognition of a greater, superior reality, social or ideal in nature, and to become one with it, extending the limits of the personality. 7) ”As we consider the subject of love we need to bear this overall spiritual framework in mind. First of all we have the original unity, free from any form of differentiation, i.e. the Absolute, Transcendent, Unmanifested. It is from this that we have obtained the manifestations of differentiation we might regard as the projections, emanation or self-expression of the Supreme. The great cosmic process has various stages. The first is that of duality: the One becomes two. The first fundamental difference has been introduced: spirit and matter, the subjective and the objective aspect, energy and resistance, activity and passivity, a positive pole and a negative pole, a male aspect and a female aspect. So far we have only spoken about the objective aspect of matter, undifferentiated. We have not spoken about matter already differentiated as we know it. This is the primordial stage which we can call the relationship between the two. This then is the framework, or the stage on which we must come to terms with an understanding of love. Beneath the present state of division, difference and separation, in their various ways, and to different extents, these creatures have a distant, dim recollection of their original unity, a vague sense of common origin and an unconscious, though powerful, longing to return to that origin. Every creature, every separate being, feels incomplete, inadequate, unsatisfied: it lacks peace and searches for something, though it does not know what that something is. As it searches it makes mistakes and suffers one disappointment after another, but cannot help continuing to search. It is spurred on relentlessly, and its thirst is never quenched, indeed there is no alternative because the urge, this yearning, is an expression of the great law of evolution. Here it becomes apparent that Assagioli explains both the transcendent aspect of the spirit and its manifestation in the universe in terms of emanation and involution. He also describes the ascent of spirit through evolution. The following quotes will focus on immanence and transcendence. 1) ”We have already referred to the two main aspects of divinity: immanence and transcendence. They are both real and necessary, but taken individually they are one-sided: they need to be integrated or merged. When the aspect of immanence is given the upper hand there is the danger of diminishing or debasing the idea of the Divine and all its manifestations. Thus in the aesthetic field, when this aspect of expression and form prevails we have the graceful, the pleasant, the elegant and the cold perfection of the Parnassians and the Neo-classicists. In the religious field we have the sentimental mysticism and the personal love of God become human: too human. In the area of thought we have the deification of human beings as human, as it is expressed in certain idealistic trends. When there is an exclusive emphasis on the transcendent aspect, on the other hand, there is too great a dualism: nature and God are placed in opposite corners and an artificial opposition is created between them – between creation and Creator. There is then too wide a gap between humans and God. What is needed is integration – a synthesis between the two, and in order to achieve this in practical terms, we must accentuate the aspect most needed in ourselves or in the age in which we live. The prevailing tendency today is clearly on the side of immanence. It is the age of science, an age which to all outward appearances gives us an expandable sense of the sublime. 2) ”In general terms we can say that intuition is a flash of illumination on a particular aspect or manifestation of Reality. Enlightenment, on the other hand, is broader and longer-lasting. It is a vision that shows the essential nature and synthetic unity of all Reality, or of significant aspects of that Reality. It is the perception of a light that is different from its physical counterpart, a light emanating straight from Reality itself. This type of enlightenment may be regarded as a revelation of the divine immanence, and as a revelation of the unity of Universal Life expressed in myriad forms. The most effective description is the one contained in the Bhagavad Gita, which refers to it as the ‘revelation of the Universal Form’. This manifestation of light takes on various aspects in the conscious mind of the person to whom it is revealed. These aspects are not separate but interpenetrate and merge with one another to varying degrees, some aspects prevailing over the others, depending on individual differences between those who perceive it. Sometimes the dominant factor is beauty, as with Rabindranath Tagore; in other cases it is the cognitive aspect that occupies the conscious mind, e.g. Plotinus and Meister Eckhart. So it can be concluded that Assagioli includes the idea of the divine immanence in his work. The following 19 quotes are examples of how he is using involution, emanation and evolution in his theories. I will let the quotes speak for themselves. Here Assagioli is in agreement with Ken Wilber and the theory of emanation, when he mentions that the qualities of the external world are only faint reflections of a spiritual reality. In the next quote Assagioli describes the “The Great Chain of Being”. 2) ”Q: Are the terms individual self and group self just terms, since all is one? Do we have to experience individual then group on the way to be One? Assagioli: Now that gives me an opportunity to take up another essential point of psychosynthesis, that of the various levels of reality. There are various levels of reality, or if you like a modern term – energy fields. Each has its own qualities and laws. For instance, certain chemical laws at the atomic level are no more valid at the subatomic level but they are not abolished, not superseded; only at the other level other laws work. Here comes a jump, leaving aside intermediate steps which you can find out – “All is One” is a deep metaphysical truth at that level, but unfortunately many bring down that wonderful reality at human levels, or other levels in manifestation where it simply does not operate, and many of the so-called metaphysical movements, and also some Oriental approaches don’t take into consideration the basic difference. All is One in essence, in Being; but in becoming, in manifestation, in that process of life, there are countless many. I don’t enter into that problem. “All life is One” has chosen to reflect itself in countless ways. If He did it we may surmise He had very good reasons, but it is His business not ours. What we can say is that the great process of involution culminated in the mineral, as far as we know, and then started the contrary movement or process of evolution. We perhaps optimistically can say that we are at the middle point. We have passed through the mineral, vegetable, animal and partially human. So we have to proceed in this evolutionary work towards the “One”, but it is still far off. And here comes the confusion between the two selves which creates so much mischief. When we say “I am that Self” – quite true, I am the One, but we are not that in daily life at all; that would be paranoia. 9) ”Humanity now finds itself at the ascendant stage of its evolution. After descending into the depths of materialism, it is now rising up, slowly and painfully, to the spirit, towards its eternal home land. Having reached the furthers point of separateness, self-sufficiency and selfishness, each one of us must now gradually extend the limits of our personal identity, and enter into a harmonious communion with our fellow human beings, with the universe and with the Supreme Being. When we begin to experience this deep need or duty, an intense, savage battle begins within us: the impulse and surge towards the broadening or expansion of the mind comes up against the hard, rigid barriers of separateness and self-centeredness. The soul then feels like a bird shut up in a cage, or like a prisoner locked up in a tiny cell, and it struggles and suffers. This is the critical, painful stage that we have to go through before there can be release- or to be more exact, release of the soul. In this present period of spiritual awakening it is precisely at this stage that many people find themselves today. In light of this composite concept, which shows us that suffering is necessary and inevitable in the great process of evolution, we will be in a better position to understand more deeply and to accept more readily the various meanings and specific functions of pain. In the first place, we can see that suffering is a form of atonement, linked inevitably to the law of cause and effect. But this atonement is not the only function of suffering, nor even the most important or essential one. Suffering has a direct and powerful effect in helping the soul to ascend and to become free. It purifies, burning away with its beneficial fire a lot of worldly dross. It sculpts the soul, releasing the god that has been locked up inside a shapeless block of matter, just as in the saying: “The gods are formed by hammer blows”. Suffering can toughen and strengthen us, developing in us that remarkable and difficult ability of inner resistance, a prerequisite for spiritual development. Many people fail to realize that the spirit is awesome in its power and that we do not yet have the strength to sustain or contain it. This strength and resistance is developed primarily though pain. Suffering also develops and brings to maturity every aspect of our being, particularly the deeper less obvious ones. Pain forces us to withdraw our attention from the illusions of the external world; it frees us from our attachment to that world, and causes us to return to ourselves. It makes us more aware and forces us to look inwards, to the spirit that is within, to find comfort, light and guidance. In other words, it awakens us and reveals to us what we are. Finally pain enables us to better understand and feel for others in their pain. It makes us more sensitive and ready to help other people. To quote from the fine poetry of Virgil: “Non ignara mali, miseris succurrere disco”, or “Not unacquainted with ills, I am learning to help the unfortunate”. One might object here, however, asking why it is that pain often has the opposite effect. Why does it sometimes enrage people, hardening them and causing them to do wrong, to engage in hate and violence? 11) ”Spiritual education has two main aspects. The first concerns the meaning of life, its evolutionary development and its aims. These are far wider and higher than is ordinarily assumed. A number of scientists have recently affirmed the reality of evolutionary progress and have correctly noted that it cannot stop at the “not-too-lofty” stage currently reached by humanity, but must continue toward new and higher levels. 13) “This immense power of good, inherent in loving understanding, should awaken in us a strong determination to achieve it; and as for other spiritual realizations, what we have to do is twofold; to cultivate that quality and to eliminate the obstacles which prevent or make difficult its growth in us. The stage of evolution attained and, consequently, of his prevalent polarization (physical, emotional, mental). The Rays which qualify his soul, his personality, and his mental, emotional and physical bodies. The Zodiacal signs which condition the individual. The points of cleavage or lack of integration in his personality existing at various levels. Methods of co-ordination and synthesis (integration and fusion) suited to each individual case. His life tasks (vocation, avocation, service). 15) “Blessing and healing are also linked and a real blessing can have a healing effect. This is not necessarily physical, but can be psychologically and spiritually beneficial. Also in healing, however, there is need for caution. For instance, concentrating the attention on the patient’s illness, or on the parts of the body affected, might have undesirable effects. “From the angle of human evolution, it might be stated that only when the soul aspect is dominant does the response apparatus (the form nature of man) fulfill its destiny, and only then does true radiation and the pure shining forth of light become possible. Radiation and magnetism are an expression of the energetic or dynamic aspect of love, and our attempts to realize spiritual love may be helped by the recognition that it is a magnetic energy. 2) “If we turn our ability to observe inwards we realize that there is actually an inner world of phenomena, at least as manifold and varied as the outer world, and that through the development of observation it becomes more and more definite to the observer. In the following quotes, we see how Assagioli understand the principle of emanation as starting from the universal self emanating down to the transpersonal self, and from the transpersonal self to the personal self. The Transpersonal Self in relation to the Universal Self and personal self. 5) “Time and time again one is brought up against the paradoxical duality and unity of the Deity. The personal “I” comes down from the star, or from the spiritual “I”, in the form of a reflection. This fits one of the interpretations of the parable of the prodigal son. The personal “I” is the prodigal son who has descended to the level of the material world and forgotten his origin, to the point where of his own free will he resorts to all the foolishness he is capable of, all the errors (”errors” both in the sense of making mistakes and of going astray), and only then feels a longing for his father’s house, sets out in search of it and eventually finds it. 8) “The Self has a sense of what is eternal- or, to be more accurate, it lives in eternity. But it is the eternal “now” that it inhabits, not merely a transcendent eternity, cut off from the evolutionary process of development. “Eternal now” is a paradoxical expression only to be appreciated intuitively; but it provides us with a key to a fundamental truth, and that is connected to the relation between the transcendent and the immanent, being and becoming. Both of these should be present, conscious and at work in us. 9) ”What the Self reveals is consistent with what is truly good, but it can be contrary to our wishes or personal preferences. The Self does not call for sacrifices in the usual erroneous sense of forced, demanding renunciations; it calls for them in the sense of a consecration which results in the gradual elimination of a number of habits and activities that are harmful, of no use, or of less importance, in order to create space for us to devote our time to things of greater value. 10) Aristotle spoke about ‘entelechy’, and others have spoken about “models” or “archetypes”. One has to admit some pre-existent reality, an immanent Intelligence guiding the various stages of development from the seed to the tree, from the germinal cell or cells to the complete organism. 11) ”Our spiritual Being, the Self, which is the essential and most real part of us, is usually concealed, shut in or ‘ensnared’. The main reason for this is the body with its many sensory perceptions. In addition to this there are many emotions and impulses (fears, desires, attractions and repulsions etc), and the underlying restlessness of activity in the mind. We need to remove the tangles and iron out the folds so that the Spiritual Centre can be revealed. 1) ”In contemplating the greatness of the universe, we realize that it is not only a wonderful physical mechanism, but that it is pervaded by and pulsating with Life; that it is evolving under the guidance of intelligent laws; that it must have significance and purpose. Even those who may not have a religious faith or a definite philosophy of life can hardly deny that the universe is ruled by a law of evolution and progress. We perceive in the stars and in the insect, in the atom and in the heart, the same trend towards a mysterious goal. When we have become aware of the power of this universal law it becomes clear to us how foolish it is to oppose it; we discover that the true cause of so many failures lies in the unconscious and ignorant violation of that law. Then there arises in us spontaneously the impulse to obey it and co-operate with it. And here again, a paradox: the individual will, in freely submitting to the universal Will and merging with it, is neither annihilated nor diminished. At the very moment in which it would seem to die or cease to exist, it rises with new power, transfigured. When the individual wills to co-operate harmoniously with the Will that governs the Universe, then that Will co-operates with him and puts at his disposal Its own infinite energies. In the Laws that rule the Cosmos man discovers the laws which should regulate his own actions. 2) ”Teilhard de Chardin gives ample evidence of this law, which is at the basis of all evolution -biological, psychological, and spiritual—and produces what he calls “complexification” and “convergence.” He describes the various stages of this process of synthesis—which in humanity becomes conscious—toward and including a superindividual and cosmic center which he calls the omega point. If we consider this process “from within,” we find that we can have a conscious existential experience of it. We can experience it as an intelligent energy, directed toward a definite aim, having a purpose. These are also the specific characteristics of the will as an expression of the synthesizing self. We need not discuss how the unifying, synergetic force operates at the biological levels. What matters is to realize that we can be aware of its higher manifestations in the conscious human being, and also at transpersonal levels. This quality of the will operates in various ways. 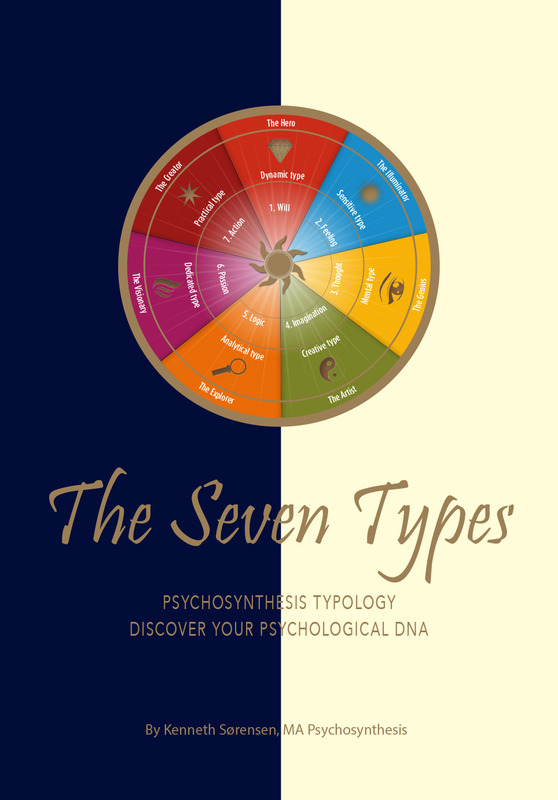 First, as an inner synergy, coordinating the various psychological functions; it is the unifying force which tends toward, and enables one to achieve, personal psychosynthesis. 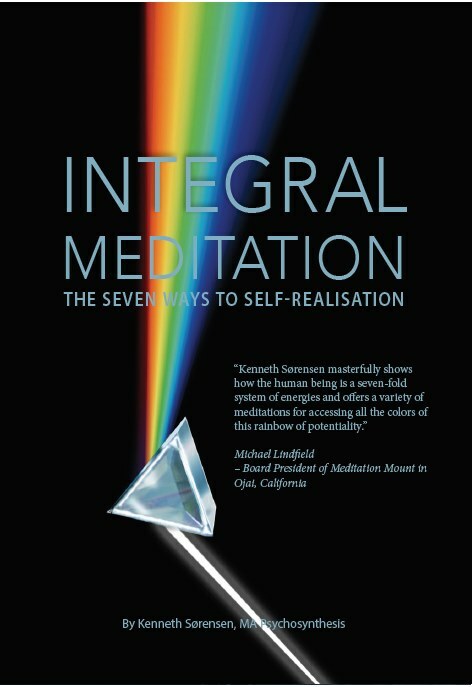 It is also active at the transpersonal level and works toward the unification of the personal center of consciousness, the “I” or ego, with the Transpersonal Self, leading to the corresponding harmonious cooperation of the personal will with the Transpersonal Will (transpersonal or spiritual psychosynthesis). The will demonstrates synergy also in the outer activities of the individual, in his acts of willing, both in coordinating and organizing those activities through Planning and Programing (the fifth stage of the will in action) and in Directing and Regulating the successive phases of their Execution (sixth stage). Teilhard de Chardin, adopting the terminology generally used by Christian writers, uses the words “personality” and the process of “personalization” to describe the higher aim above and beyond the “individual.” The operation of the laws of cooperation, organization, and synthesis is evident not only in the intrapersonal realm but also in the large field of interpersonal relationships, from the couple to all social groups and finally the whole of humanity. Its expressions have been variously called empathy, identification, love, social will. It tends to transcend the opposition between the individual and society, the selfish¬ unselfish polarity. Maslow called the transcendence of this dichotomy “the creation of a superordinate unity.” Finally, there is the planetary and cosmic synergy which – by analogy – can be surmised to be the expression of the deliberate action of the will of corresponding transhuman principles or entities, as Teilhard de Chardin asserts. This, according to him, is the logical, necessary goal of the whole evolutionary process. a. A transcendent reality that is greater than creation – the universe. Assagioli describes several places how the transcendent creates the universe. This quote from the Bhagavad Gita: “Having pervaded the whole Universe with a fragment of myself, I remain”, is particularly relevant in this context. So it is a “yes” here. A transcendent reality that creates the universe through emanation or involution, that is, creates a number of inner worlds, culminating in the material, and where the divine is immanent in creation. 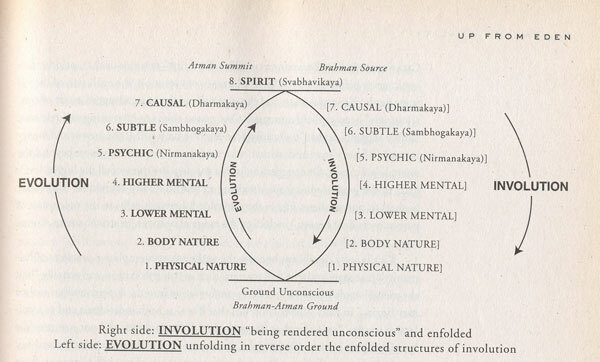 Assagioli is frequently referring to emanation or involution, both at the universal level and at the individual level. For example, he is arguing that the personal self is an emanation of the transpersonal self. The conclusion here must be another “yes”. A transcendent reality that maintains and develops the universe through evolution; the divine returns to the Godhead via the mineral kingdom, plant kingdom, animal kingdom and human kingdom infused with experiences from the different realms. Yes, there are numerous quotes above showing that Assagioli includes the theory of evolution in his work. The transpersonal self or soul is an inherent aspect of this involutionary and evolutionary journey, whose purpose is to manifest the divine on earth. 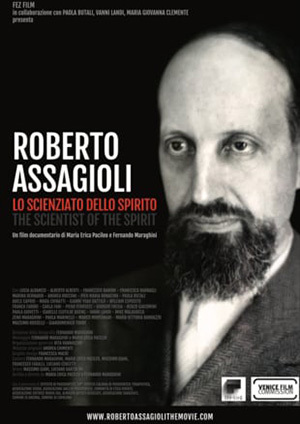 It must be another yes here, as there is ample evidence from Assagioli’s work that he believes the purpose of spiritual development is the synthesis of man and of the cosmos. 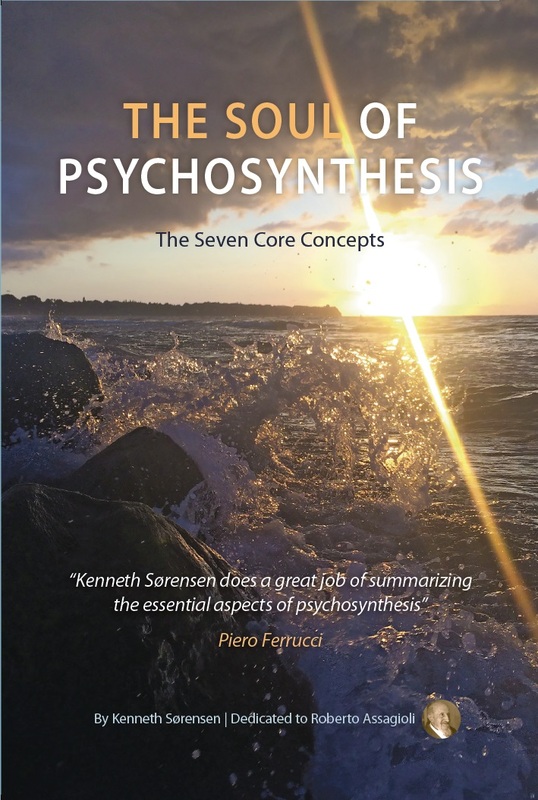 Also see Chapter 2 in The Soul of Psychosynthesis.